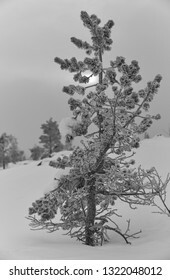 47 years old photographer from Helsinki, Finland. 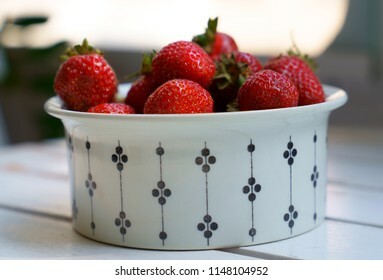 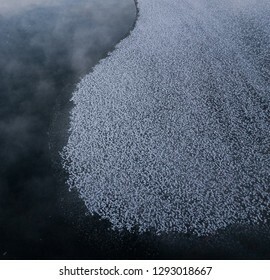 284 stock photos, vectors, and illustrations are available royalty-free. 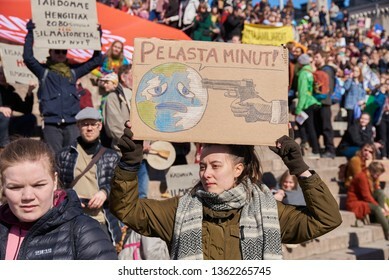 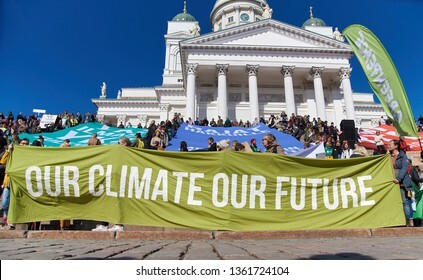 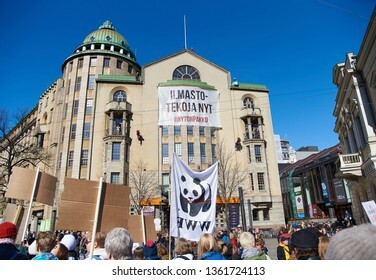 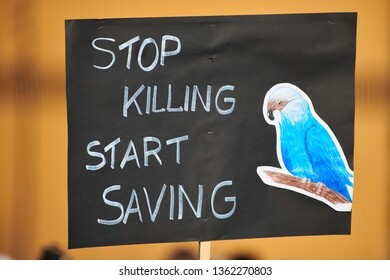 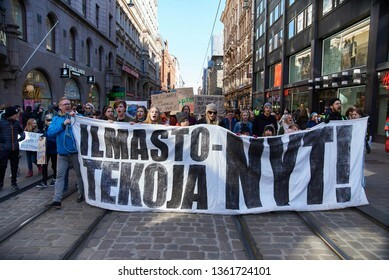 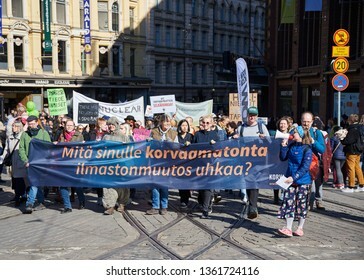 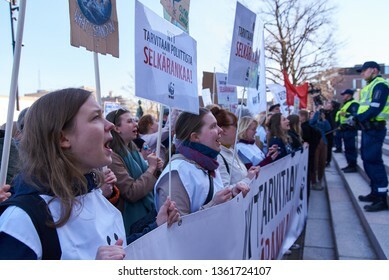 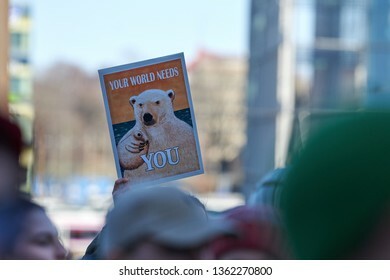 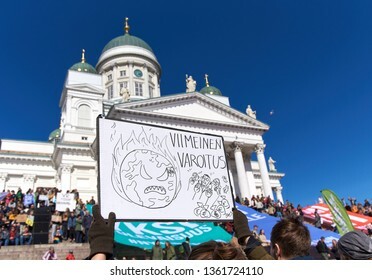 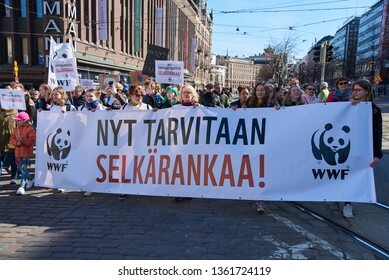 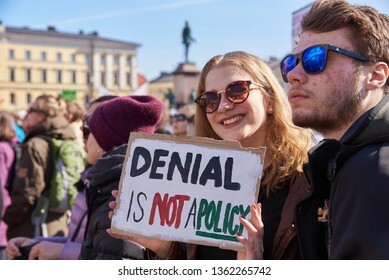 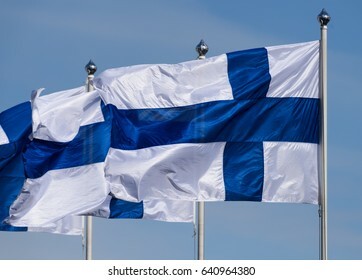 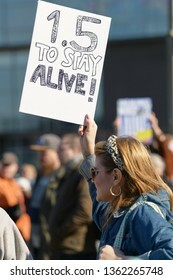 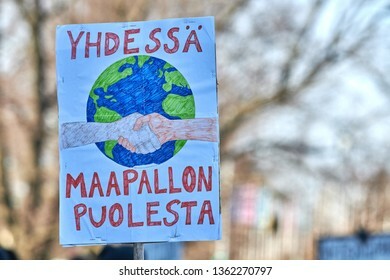 Helsinki, Finland - April 6, 2019: March and demonstration against climate change (Ilmastomarssi) in downtown Helsinki, Finland attended by more than 10000 people. 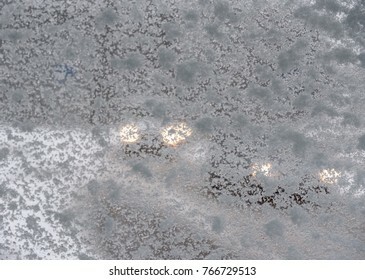 Headlights of two cars approaching down the road in reduced visibility due to a snowy window during a snow storm in Helsinki, Finland on 23 November 2017. 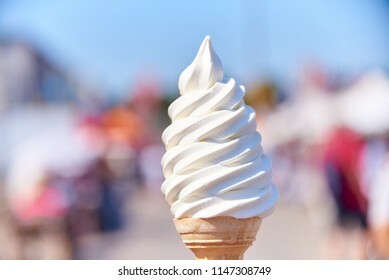 Soft serve ice cream cone at the Market Square in the center of Helsinki, Finland on hot day in July 2018. 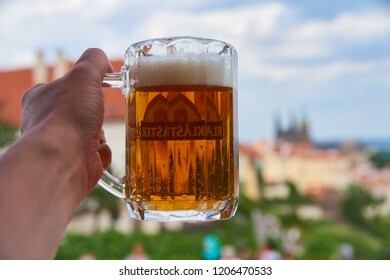 Prague, Czech Republic - July 5, 2017: A fresh pint of Czech craft beer on a terrace in Hradčany (the historic Castle District of Prague, Czech Republic) with Prague landmarks on the background. 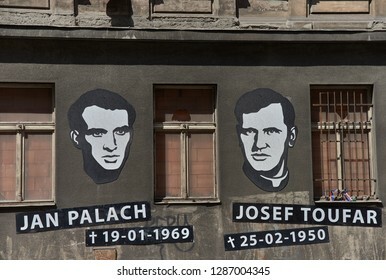 Prague, Czech Republic - July 7, 2017: Portraits and dates of birth and death placed in memory and honor of Jan Palach and Josef Toufar on exterior of a building by the Legerova street in Prague. 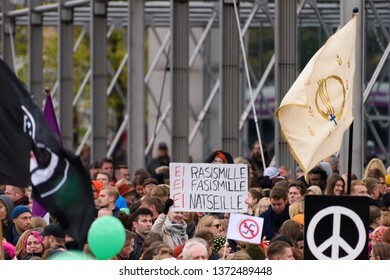 Helsinki, Finland - September 24, 2016: Peli poikki - Rikotaan hiljaisuus - protest rally against racism and right wing extremist violence in Helsinki, Finland on 24 September 2016. 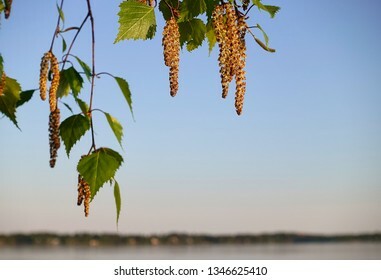 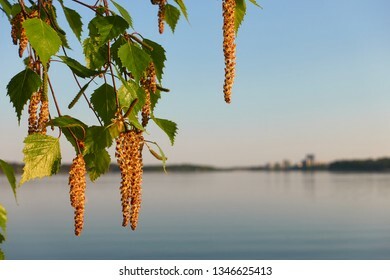 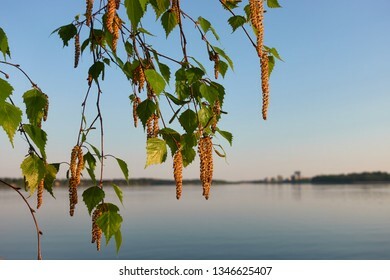 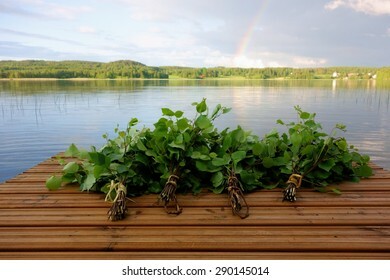 Birch tree catkins and fresh green leaves with small aphids in leaves on spring evening by the Baltic Sea in Helsini, Finland. 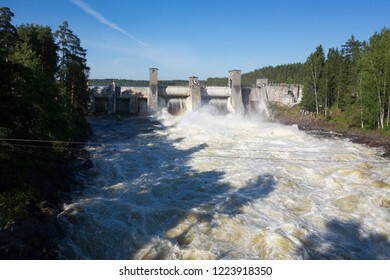 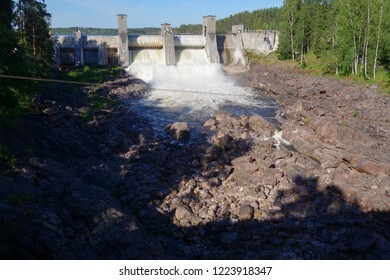 Imatra, Finland - June 3, 2015: Water starting to flow through Imatrankoski rapids from dam on sunny July summer afternoon in 2015. 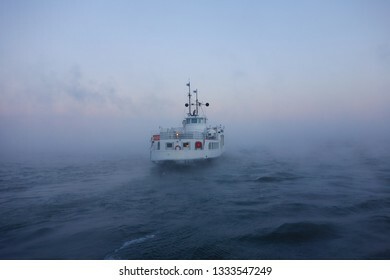 Helsinki, Finland - January 5, 2016: Ferry departing Suomenlinna fortress island on Baltic sea in midst of thick sea smoke or fog on extremely cold January morning at dawn in Helsinki, Finland. 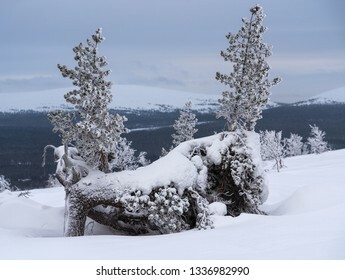 Trail in the snowy forest panorama in Lapland, Finland. 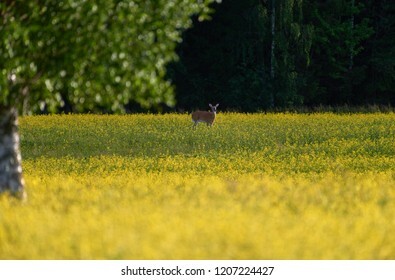 Deer standing in the middle of bright yellow rapeseed field in the evening light at the end of July in Western Finland on sunny evening. 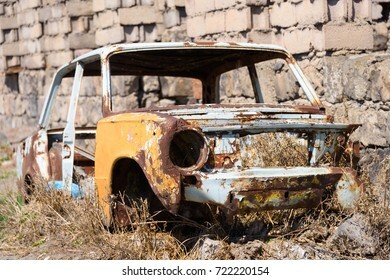 Abandoned and rusty skeleton of a Soviet Russian car growing hay inside by the side of the building exterior in Ararat province on 4 April 2017. 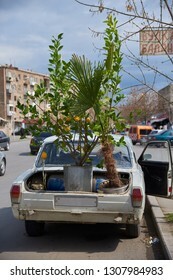 Artashat, Armenia - April 2, 2017: Old Soviet car with a lemon tree in the trunk on early April afternoon. 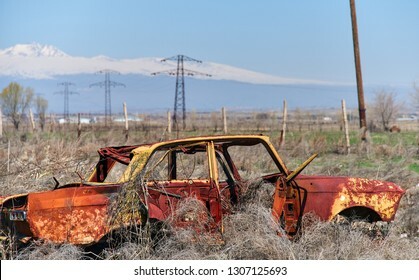 Abandoned and rusty wreckage of an yellow vintage Soviet Russian car in the middle of dry hay with scenic ice top mountains and clear blue sky on the background in rural Southern Armenia. 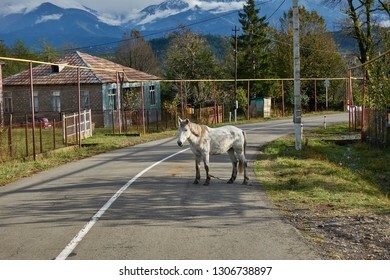 Guria, Georgia - October 27, 2018: White horse standing in the middle of the road in the coutryside of the Guria region in Western Georgia north of Ozurgeti. 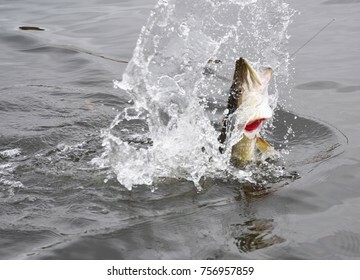 Hooked northern pike caught by a sportsfisherman fighting and jumping out of the sea and splashing water around on late October cloudy day at the Baltic Sea in archipelago of Southern Finland. 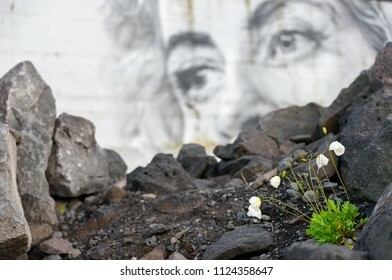 REYKJAVIK, ICELAND – JUNE 3, 2017: Small white poppy flowers and buds blooming in the urban wasteland with female eyes of a mural on the background in the Western parts of Reykjavik, Iceland. 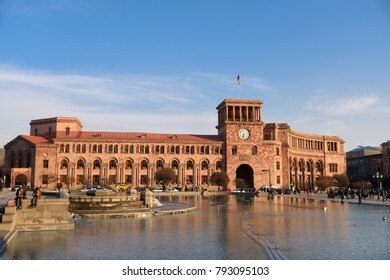 YERAVAN, ARMENIA - APRIL 3, 2017: The Government House of Armenia and the Republic Square in the center of Yerevan, Armenia. 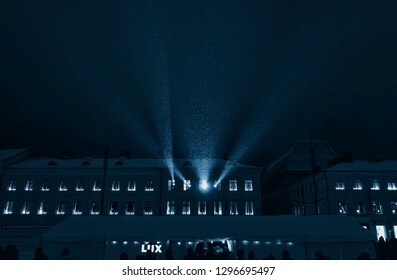 Helsinki, Finland - January 10, 2016: light projection from the window at the Lux Helsinki 2016 light arts festival in snowing conditions at the Senate Square in the center of Helsinki, Finland. 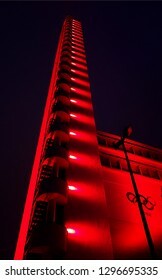 Helsinki, Finland - January 13, 2013: The tower of the Helsinki Olympic Stadium during the Lux Helsinki light arts festival in January 2013. 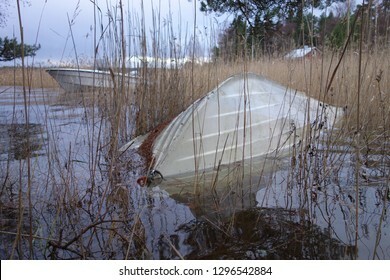 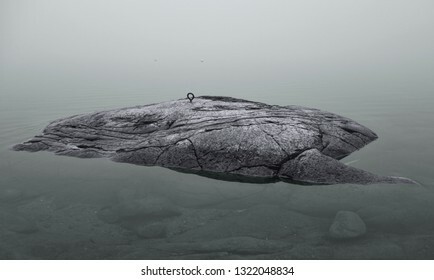 Overturned rowboat partly under flood water due to an extraordinary high sea water level at the Baltic Sea during a severe Autumn storm in Southern coast of Finland on November 10, 2017. 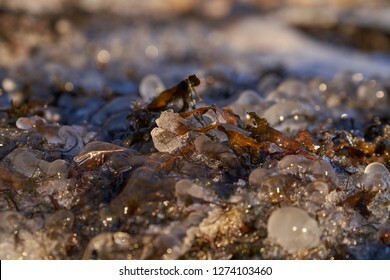 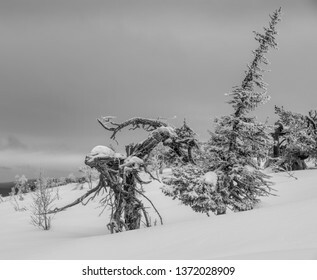 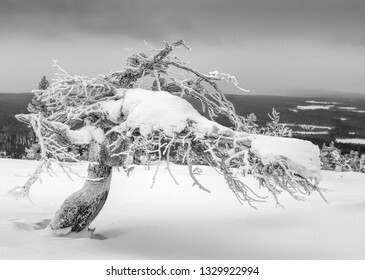 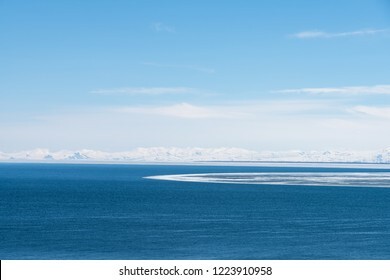 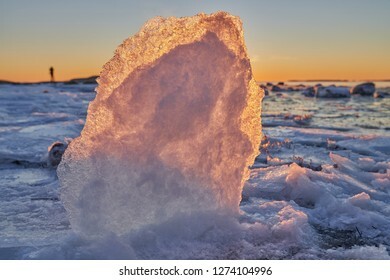 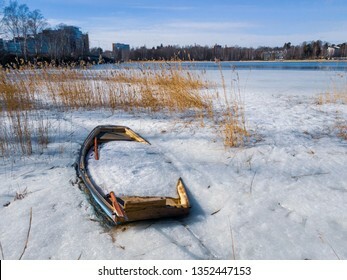 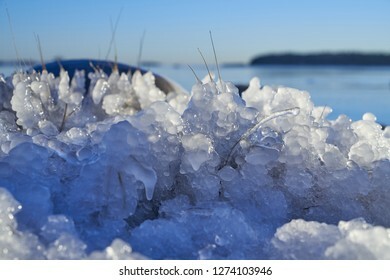 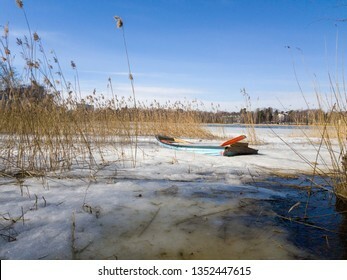 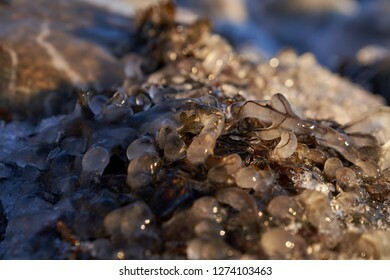 Ice formation covered with frost and snow resembling shape of the geography of Western and Southern coast of Finland and the Baltic Sea in winter condition. 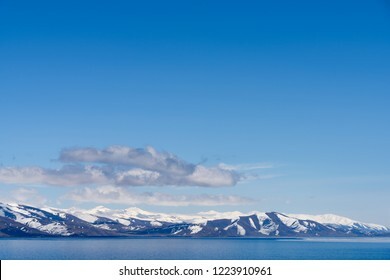 Spectacular autumn panorama view to the valley and villages of Guria region of Georgia surrounded by the Caucasus mountains. 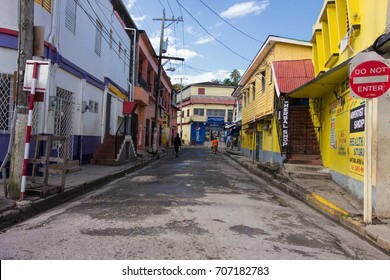 PORT ANTONIO, JAMAICA - JANUARY 1, 2014: Unidentified people walking on the colorful streets of downtown Port Antonio, Jamaica on New Years Day morning 2014. 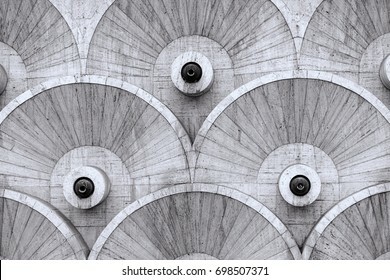 Round abstarct patterns at the Cascade stairway in Yerevan, Armenia constructed at the Soviet era between 1971 and 1980. 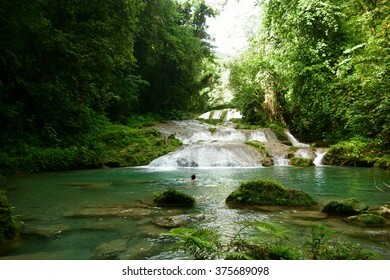 Unidentified female tourist swimming in the waterfalls at Reach Falls which are one of the most popular tourist destinations and attractions in Portland parish, Jamaica on December 30, 2013. 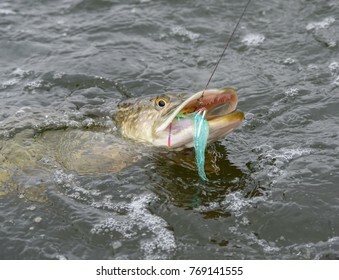 Hooked northern pike caught by a flyfisherman with a colorful pike fishing fly on its mouth October cloudy day at the Baltic Sea in archipelago of Southern Finland. 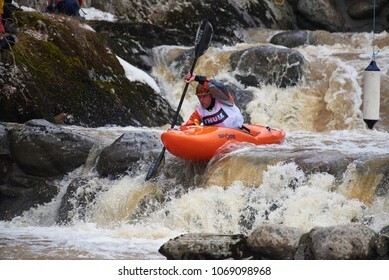 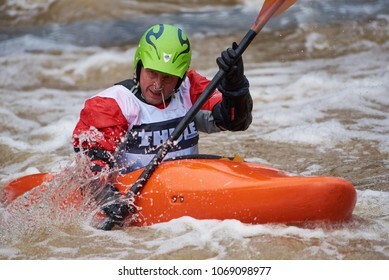 Helsinki, Finland - April 15, 2018: Unidentified racer at the annual Icebreak 2018 whitewater kayaking competition at the Vanhankaupunginkoski rapids in Helsinki, Finland. 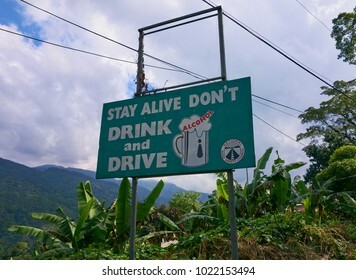 Portland Parish, Jamaica - January 1, 2014: Green Don't drink and drive road safety sign by the side of the B1 road in the Blue Mountains region of the Portland Parish, Jamaica. 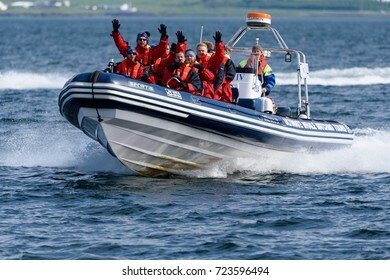 REYKJAVIK, ICELAND - JUNE 3, 2017: Whale and puffin tour boat in full speed in the Atlantic ocean with group of tourists and guide wearing in overalls and life jackets outside Reykjavik. 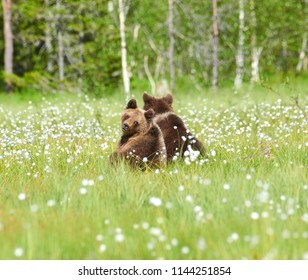 Young European brown bear (Ursus arctos) walking on a swamp in North-Eastern Finland at the end of the June 2018 in the evening light. 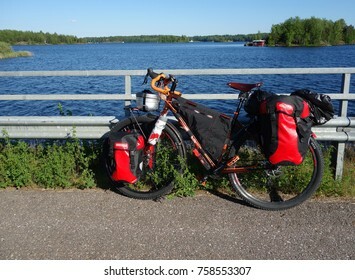 LAPPEENRANTA, FINLAND - JUNE 29, 2015: touring bike and red panniers and other touring and camping gear attached to the bike by a lake Saimaa near Lappeenranta in Eastern Finland. 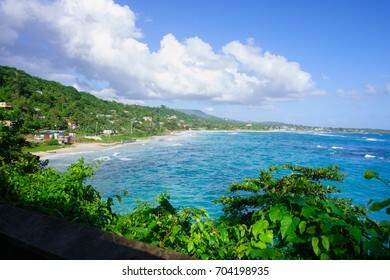 View to the Long bay beach and surrounding areas in Portland Parish in the East coast of Jamaica on 30 December 2013. 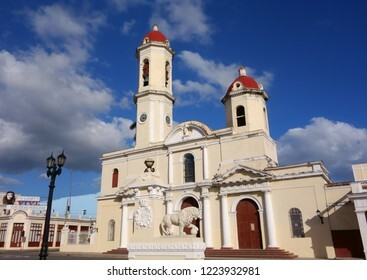 Cienfuegos, Cuba - December 22, 2013: Our Lady of the Immaculate Conception Cathedral also known as Cathedral of Cienfuegos captured on a sunny afteroon in downtown Cienfuegos, Cuba. 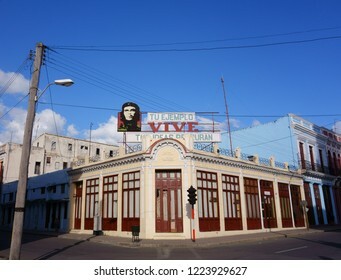 Cienfuegos, Cuba - December 22, 2013: Billboard representing Che Guevara and revolution political slogan on the corner of the Jose Marti Plaza in downtown Cienfuegos, Cuba. 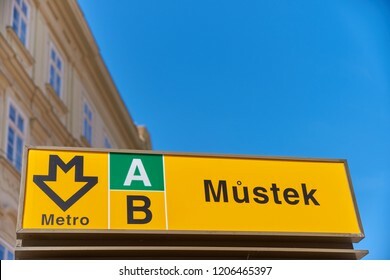 Prague, Czech Republic - July 5, 2017: Mustek metro station entrance sign featuring interchange point between metro lines A and B in downtown Prague, Czech Republic. 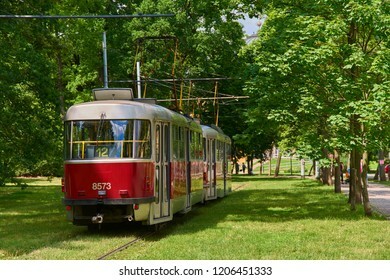 Prague, Czech Republic - July 3, 2017: Prague line 12 tram on grassy end of the line turning point next to Prague Exhibition Grounds in Výstaviště in Prague, Czech Republic on a sunny July afternoon. 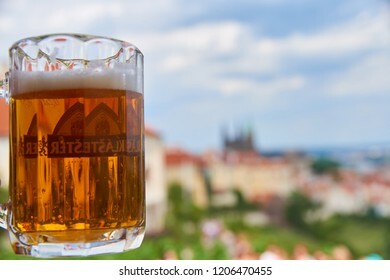 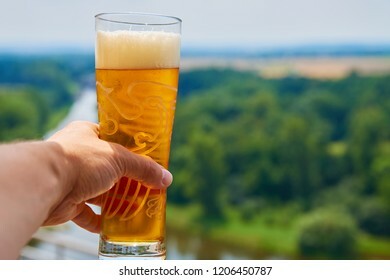 Melnik, Czech Republic - July 6, 2017: A fresh pint of Czech cold beer on a terrace in Melnik, historic city near Prague with the Labe and Vltava rivers on the background on hot summer afternoon. 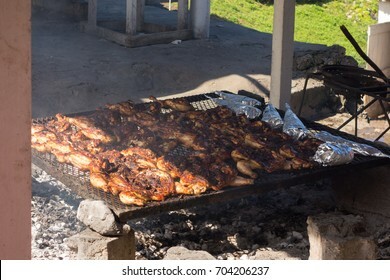 World famous Boston Bay jerk chicken cooking in the barbeque grill in Boston Bay in the East Coast of Jamaica on 30 December 2013. 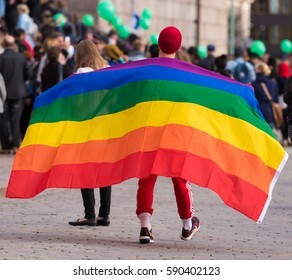 HELSINKI, FINLAND - SEPTEMBER 24, 2016: Unidentified protester march with large gay / LGBT rights rainbow flag on his shoulders in a demonstration against racism and right wing extremist violence. 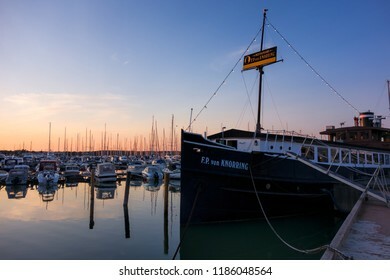 Mariehamn, Finland - July 6, 2013: Restaurant ship F.P. 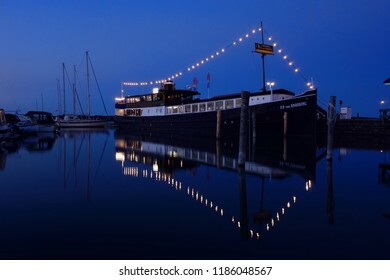 von Knorring in Mariehamn harbor on clear July night. 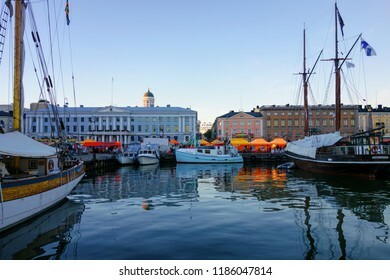 Helsinki, Finland - October 7, 2015: Fishing boats and an old sailing boat at the Helsinki Market Square during the annual Helsinki Baltic Herring Fair (Silakkamarkkinat in Finnish). 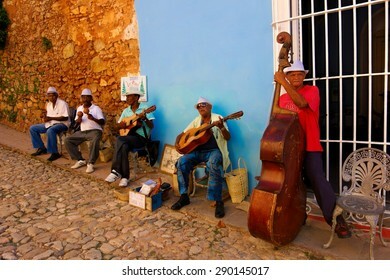 TRINIDAD, CUBA - DECEMBER 24, 2013: A group of unidentified musicians playing multiple instruments for the tourist in the cobble street in the historic part of Trinidad, Cuba on Christmas Eve 2013. 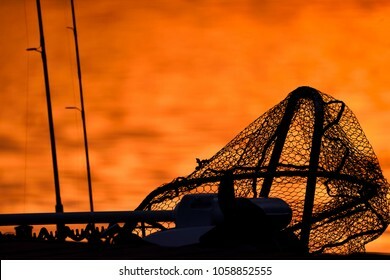 Silhouette of a trollingmotor, landing net and fishing rods on a jetty in red sunset light on late October evening in Southern Finland. 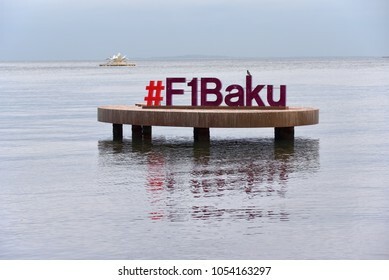 BAKU, AZERBAIJAN - DECEMBER 22, 2017: Formula 1 sign over water on cloudy December early evening at Bay of Baku in Baku, Azerbaijan. 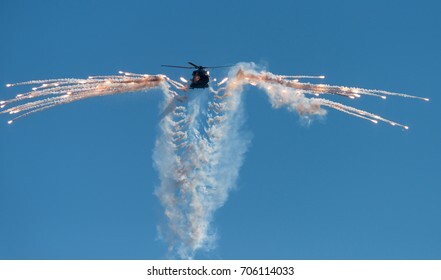 Helsinki, Finland - 9 June 2017: Finnish Army NH90 helicopter shooting out flares at the Kaivopuisto Air Show in Helsinki, Finland on 9 June 2017. 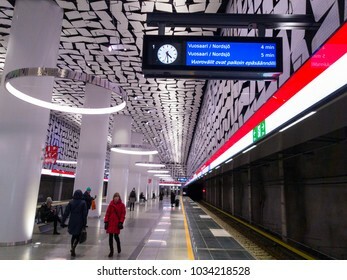 ESPOO, FINLAND - FEBRUARY 20, 2018 - Illuminated billboard announcing irrelugar metro schedule and delays at the newly opened Urheilupuisto metrostation in Espoo, Finland. 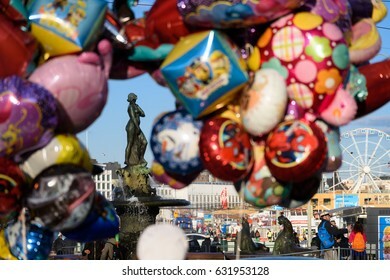 HELSINKI, FINLAND - MAY 1, 2017: Statue of Havis Amanda located at Kauppatori in downtown Helsinki seen through colourful balloons during First of May (Vappu) celebration. 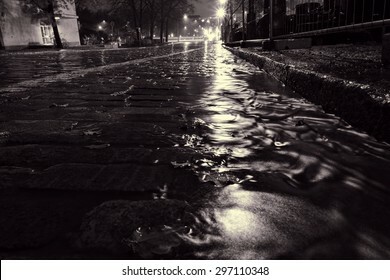 Rain water flowing down a street in down town Helsinki during a nightly autumn storm and creating miniature surge on a cobble street at Unioninkatu in Kaisaniemi district. 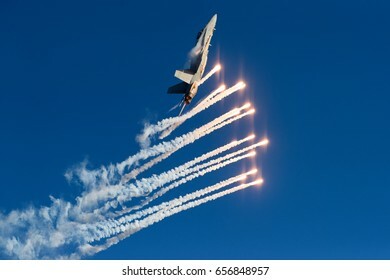 HELSINKI, FINLAND - JUNE 9, 2017: Finnish Air Force Hornet F/A-18 shooting out flares at the Kaivopuisto Air Show in Helsinki, Finland on 9 June 2017. 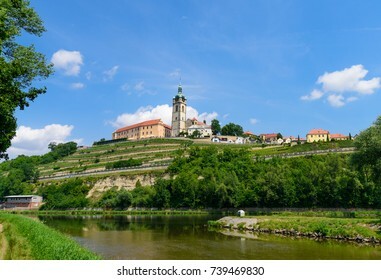 The historic Melnik castle and church tower of St. Peter and Paul at the confluence of the Vltava (Moldau) and Labe (Elbe) rivers on sunny early July afternoon in 2017 in Melnik, Czech Republic. 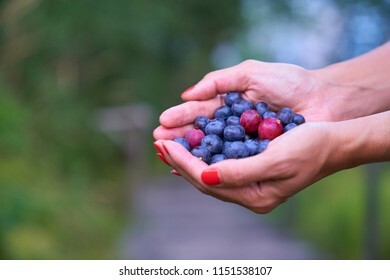 Fresh highbush blueberries and gooseberries on female hands in outdoors settings in Finland. 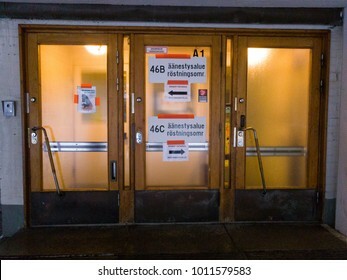 HELSINKI, FINLAND - JANUARY 28, 2018: Pollings station in Pitäjänmäki distric in Western Helsinki in the first round of presidential elections in Finland 2018. 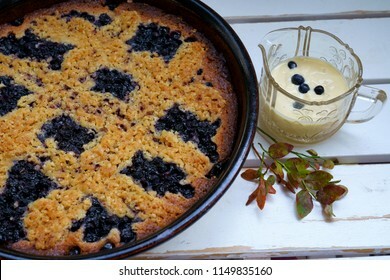 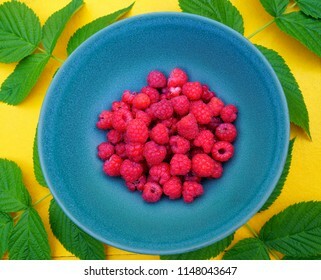 Plateful of fresh Finnish raspberries served on blue plate on yellow table with green raspberry leafs for decoration. 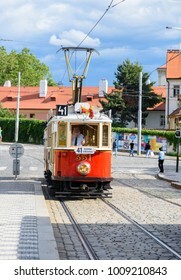 PRAGUE, CZECH REPUBLIC - JULY 1, 2017: Historical Prague museum tram line 41 and an old tram driver on a cobble stone street in Mala Strana district of Prague on a sunny July afternoon. 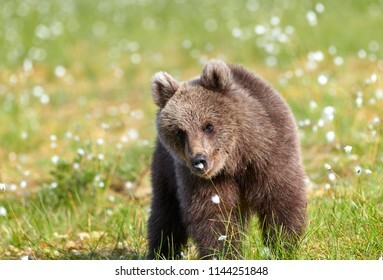 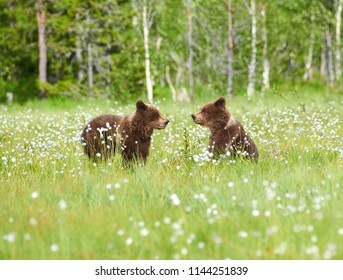 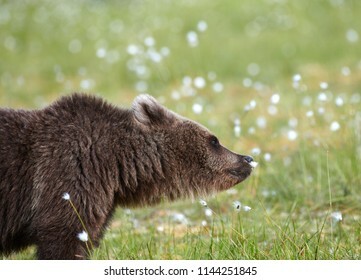 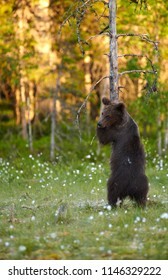 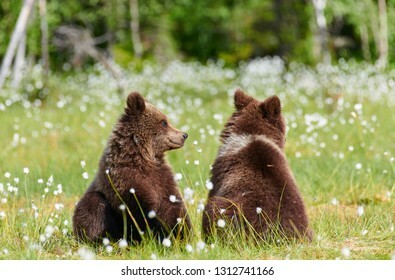 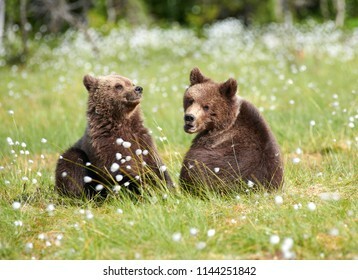 Young European brown bear (Ursus arctos) hugging a tree in swamp in North-Eastern Finland at the end of the June 2018. 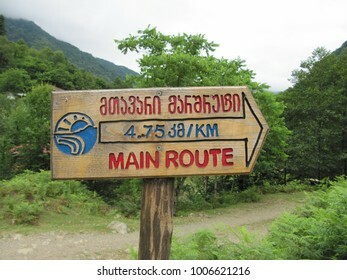 MTIRALA, GEORGIA - JULY 1, 2010: Wooden hiking route sign at the Mtirala National Park in Adjara region of Georgia nearby Batumi and Kobuleti.